I had this book for some time on my shelf and the only reason I had been avoiding it was that it’s set in 1907 Russia and I have absolutely no knowledge about that time period. This being a story around true events and places, I thought a little knowledge would be helpful. But one day I just picked it up and before I knew I was almost 70 pages in. I had been worried about nothing. The Volga Ruby is a novel that instantly pulls you in and keeps you turning the pages. It’s a story about an Englishman James who is in Russia working as a British Military Attachâ€š. When the book begins he requests for a meeting with the English Ambassador to let him know about a plot to assassinate the Tsar. The plot is possibly being hatched by one of Tsar’s closest associates and someone who has a lot of power in the court, Count Berovsky. The ambassador assures him that he will take the appropriate action. When James gets in trouble with one of the bad guys, he is asked to leave Russia for London. Thus begins an adventure to save himself from possible humiliation and making a mark for himself. He also gets involved in blowing the cover of the conspiracy which endangers his life further. I enjoyed reading the book immensely. I liked reading about a place and time I had never read before and spent a lot of time on the internet looking up Tsarskoe Selo, Church on the Spilled Blood, Troitsky Bridge, Winter Palace and so many other things including real events. I like it when a book does that, makes me want to know more about a place or an event, broadens my knowledge. On the flip side, there were a couple of printing mistakes but nothing that could spoil my reading experience. 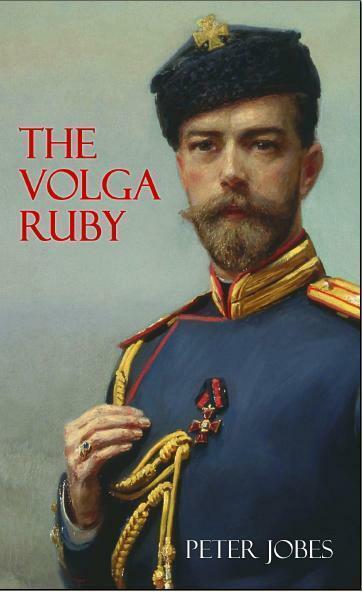 Although The Volga Ruby is an adventure that involves the Tsar, Russian politics and the future of entire Russia, it’s surprisingly a very cozy mystery, the one that should be read curled up under a blanket with a cup of chai. Note: Peter Jobes is a very dear online friend. However, my thoughts are 100% honest and without bias. East and SouthEast Asia Challenge!!! -->Brighten up your home with extensive selection of recessed lighting from CSN.